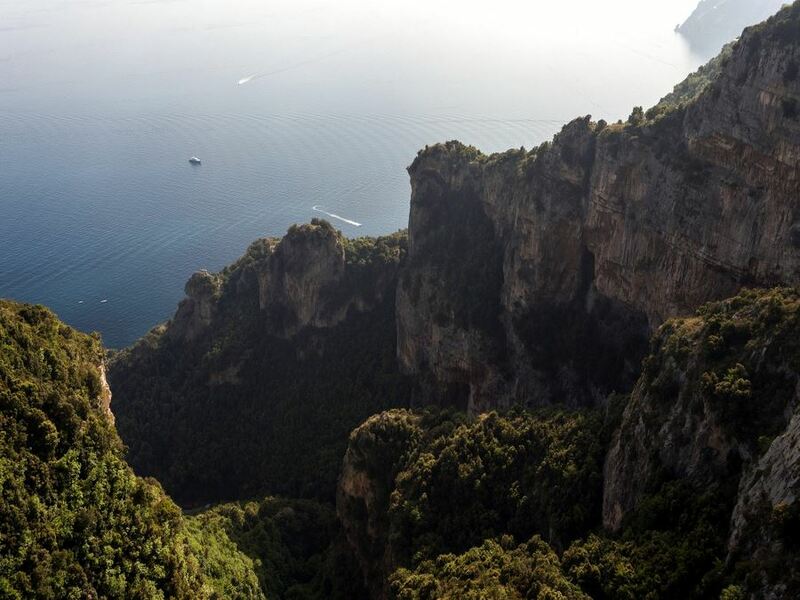 Without a doubt, this is the most famous hiking trail in all of the Amalfi Coast. Stunning views along the entire walk make this hike a must for anyone in the area. Follow the directions for Costiera Amalfitana - Agerola. Once in Agerola, you should proceed to Paolo Capasso Square in Bomerano, a hamlet of Agerola. Park your car nearby and follow the signs for the Path of the Gods, that you will find on "Via Pennino" (Pennino road). All the year except January due to possible snow on the path. From Paolo Capasso Square in Bomerano, proceed to Via Pennino (Pennino road), following the signs to Sentiero degli Dei – Path of the Gods. After 1 km you’ll arrive at the trailhead: a stone at the trailhead will read, “Benvenuti sul Sentiero degli Dei”. You’ll walk along the side of the Lattari Mountains with stunning views of the small village of Praiano and the vast Tyrrhenian Sea. After 800m you’ll arrive at a crossroad: turn left. 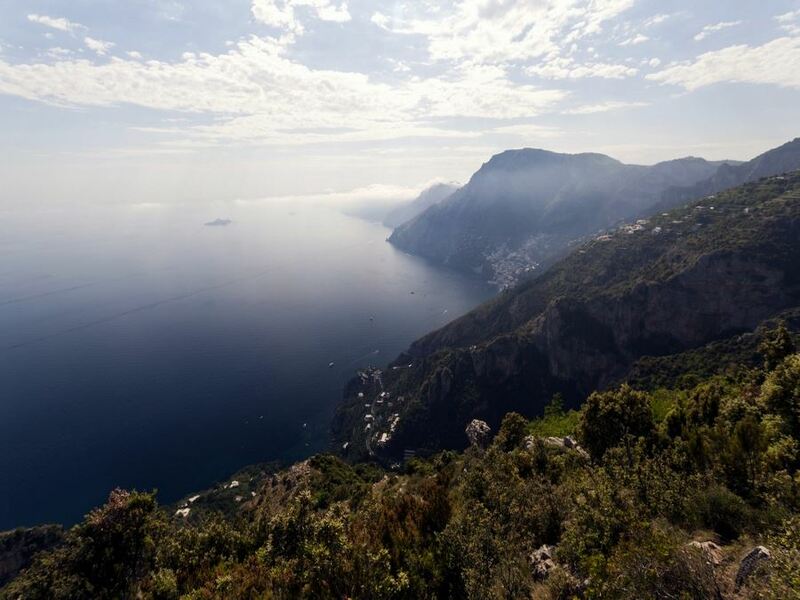 Going left will take you along the classic Path of the Gods – following signs for Nocella – with the jaw dropping view of all the Sorrentine Peninsula, Li Galli Archipelago and far the island of Capri. If you feel like you might be suffering from the effects of the altitude, turn right. This path goes through the woods for a while until, eventually, the two paths reconnect. On your right you have the face of the Lattari Mountains. 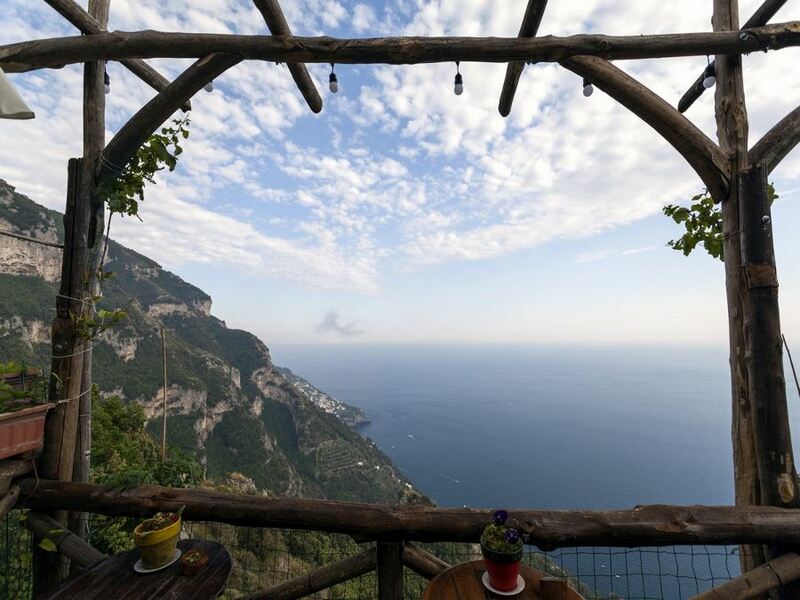 On your left, a drop which leads your eyes to the sea and the Sorrentine Peninsula. It’s a fairly simple trail, but if you ever need indication, find the red and white signs of the CAI (Alpine Italian Club) painted on stones. 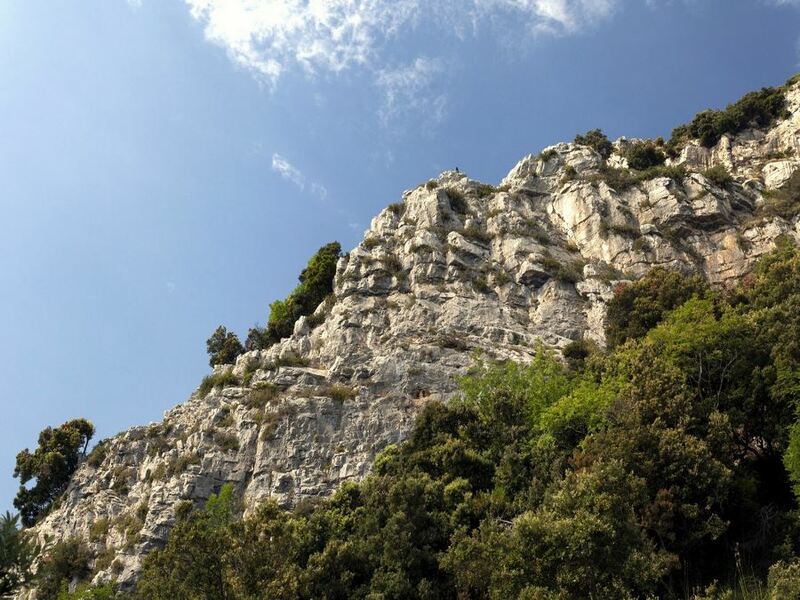 Proceed until you arrive in the village of Nocelle, where the trail officially finishes. 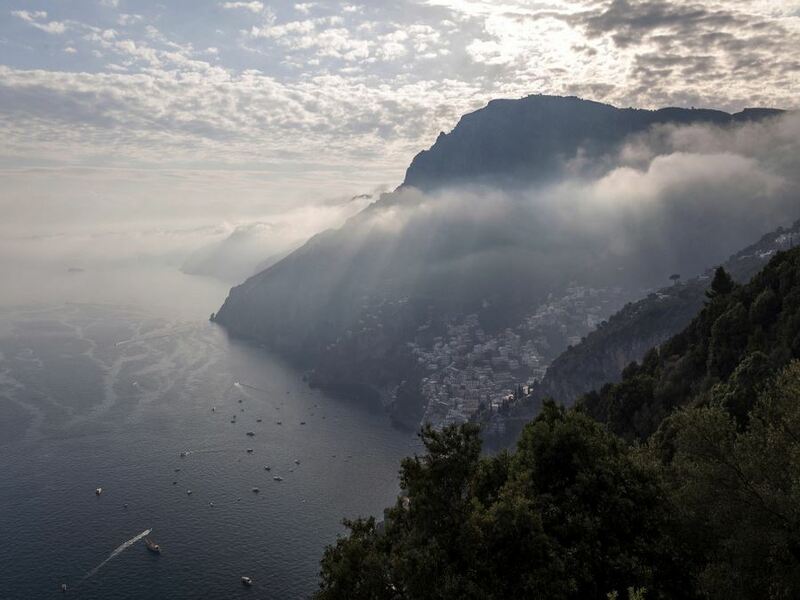 From here, you can take the stairs that lead to Positano. 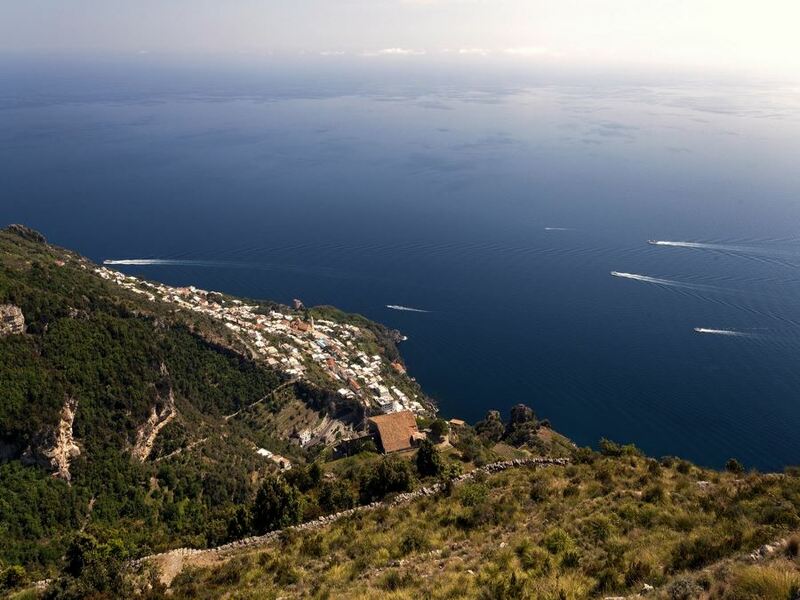 That trail will give you some nice views on the city and the surrounding mountains, and a place to grab a bus to go back to Amalfi or Sorrento. If you want to soak up more of the views you got on the way out you can go back to Agerola walking the path in the opposite direction. Rated as one of the best hikes in the world, you don’t want to forget your camera! 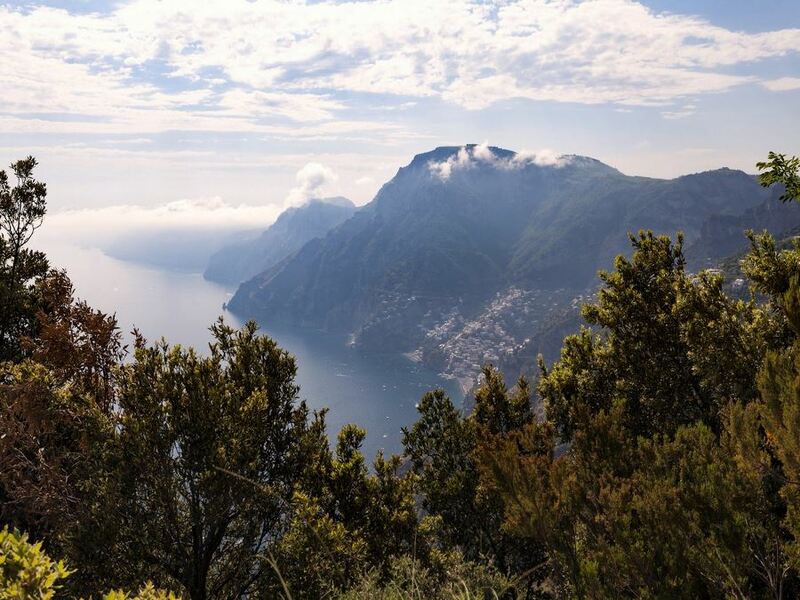 If you have an entire day to hike, we advise you to start with the High Path of the Gods and to take the normal Path of the Gods on the way back, so that you can experience the two different views of the Amalfi Coast. Though it can be hiked all year long, the best months to hike it are from September to November and from mid February to May. It can be very hot and crowded in summer, so be sure to have your sunscreen, hat, plenty of water and comfortable and fresh clothes. 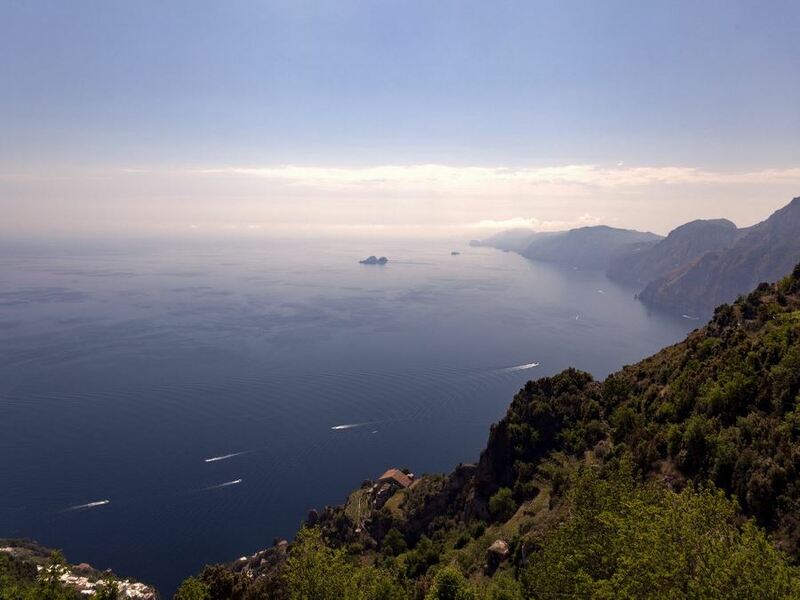 To get here by bus from Amalfi take the SITA bus for Agerola and get off in Bomerano. To get here by bus from Sorrento you have to take two SITA buses: the first one stops in Amalfi, the second for Agerola will take you to Bomerano. As you look out onto the sea, you may not be able to tell where the sea line finishes and where the sky starts, connecting the Earth to the sky, and so, to the Gods. That could be one explanation as to how they named this hike. 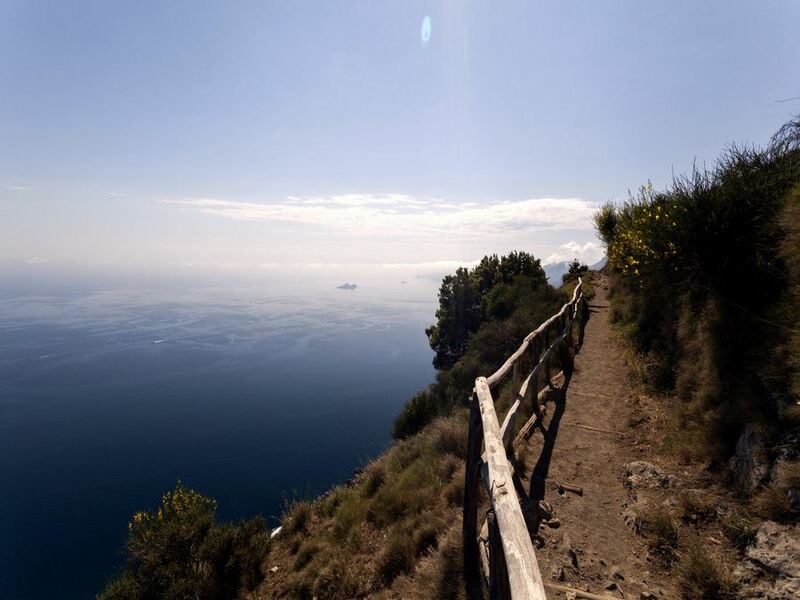 The other explanation is that the Path of the Gods owes its name to the legend that the ancient Greek Gods had to walk this trail to save Ulysses from sirens on Li Galli Island.